Today I know with certainty that 2017 was the most pivotal year in our history for children’s lives being transformed in Florida and around the world. Children’s bellies were made full. Yet, we know there is one more child who needs our help, a home and the love of a family. I keep returning to a visual that I cannot get out of my mind. 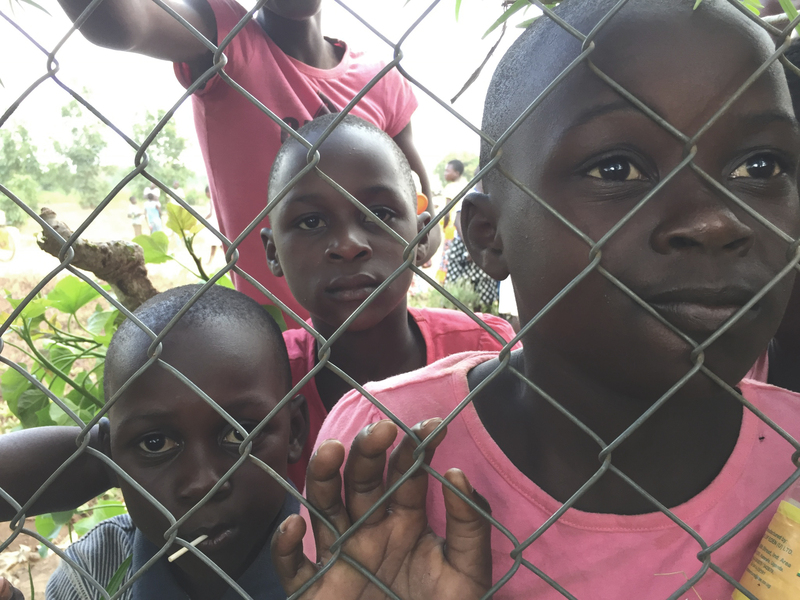 Just outside the fence that surrounds Genesis Primary School in Uganda, imagine a wide-eyed young boy with his face pressed against the fence and his fingers entwined through the chain link. He is on the outside looking in, desperately wanting to be fed like the others. This is what my wife, Christi, and I saw this past December every day. This child represents to me every child around the world who is hungry, disadvantaged or neglected – whether they live in Uganda, Jacksonville or just down the street. These children are depending on us to run to them with food and share with them the love of Jesus Christ. Here in Florida, when I think about one more child who is an example of our impact, I think about Libby*. She is a teenager who was not even certain she wanted to live when she arrived at one of our emergency shelters. When Libby arrived, she was guarded and depressed, and she admittedly had no belief in God. There were days where she even contemplated suicide. Our staff worked diligently to build a relationship with Libby, and soon we began to notice changes: Libby’s despair subsided, and she began to laugh and smile! One day Libby told our staff that she had received Christ as her Savior. Healing had come to this precious child, and she is beginning to thrive! Through our Christ-centered services, needs are being met and hearts are opening. It is happening time and time again. We celebrate that in 2017, we impacted 200,524 children and individuals, to be exact! Florida Baptist Children’s Homes has combined the branding of The Porch Light and One More Child, along with all of our non-campus care, under a new brand name that signifies what our primary focus has been for more than 100 years: One More Child. Florida and global ministries in 13 countries. Because of you, we were there when God opened the door to change Libby’s life and her eternity. And because of you, I have the joyful expectation that God is going to provide the resources, wisdom and people to help more children like her, and every child standing outside the fence longing to be on the inside. Let’s join together this year and for years to come to run purposefully and enthusiastically with the love of Jesus toward one more child. Next Post"How Am I Going to Raise My Kids On That Income?"